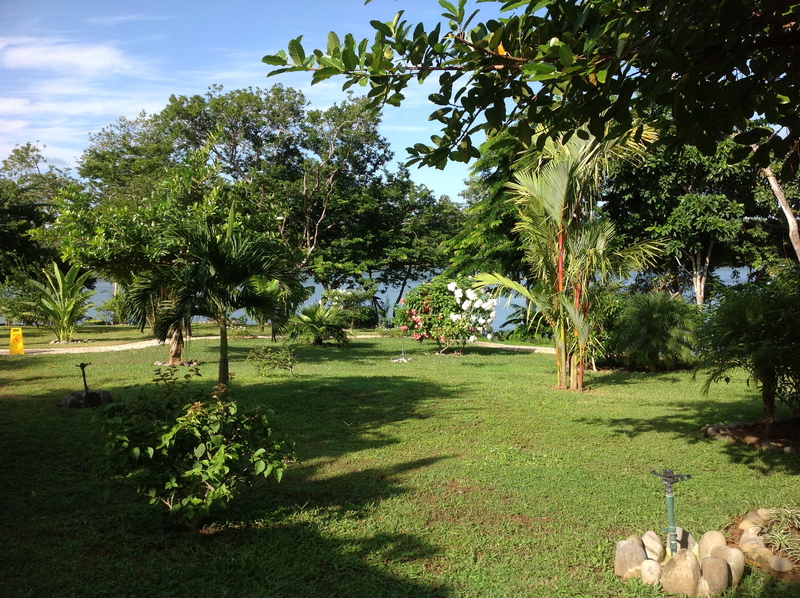 After spending four days in Pedasi, we were back on the road again to Boca Chica. The drive took about 6 hours and the highway was in great shape, until we hit the outskirts of Santiago. Once we left Santiago we ended up on a portion of highway that was concrete and quite rough. We have to remember that we are in Panama where road signs at the entrance and exits of town/city centers are almost non-existent so after driving for about 45 minutes on this section of highway, we decided to pull over to talk to the next radar police officer that we saw (and believe me there are a lot of them) to ensure we were on the right path. He reassured us that we were going in the right direction and after wishing us “safe travels” we were on our way once again. This section of road lasted for about an hour until we hit pavement again. While we were driving we saw a lot of surveyors out and about doing their thing because there are plans in the near future to twin this section of highway as well. 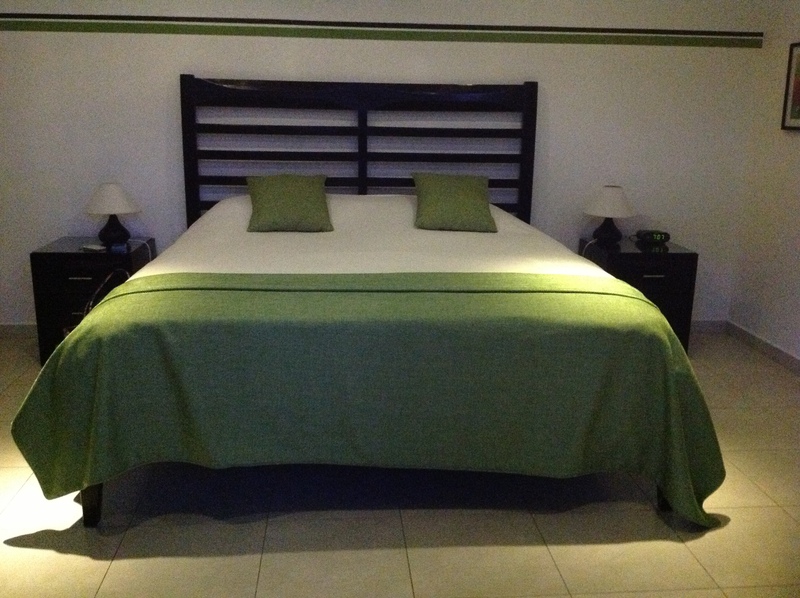 We decided to spend three nights at the Bocas Del Mar spa and resort in Boca Chica to spoil ourselves a bit during this trip and we did. This is a an absolutely beautiful resort, with nice rooms and gorgeous grounds. However, the menu only had a few select items and it is the same menu for lunch and dinner so our third night there we decided to eat elsewhere. D sitting outside enjoying scenery. 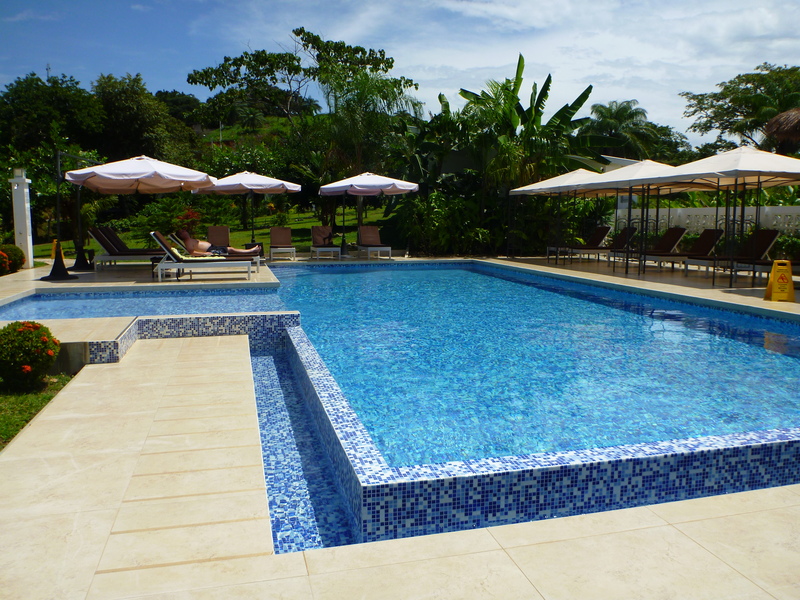 We arrived around 7:00 in the evening so our first full day we just enjoyed relaxing by the pool and exploring the grounds and shoreline. It was a beautiful sunny day in Boca Chica, despite it being the rainy season, so we thought we would take advantage of the weather. The next day we decided to check out the boat tour that they have to offer and explore three of the surrounding islands and beaches. This is a small charter boat so there was only one other couple from Austria with us. On our way to the first island we were lucky enough to see a whale surface about 20 meters from our boat. I guess they are in this area at this time of year, but unfortunately it was rather rough the day we went out, and this was the only visual we got of the whale. Further on, during the trip, we met up with a school of dolphins! Pretty cool just to sit back and watch them swimming alongside our boat. We passed many islands along the way until we docked in at the first island. It was absolutely stunning with the most incredible white sand beach! We docked here for about 30 minutes and tried to do some snorkelling along the small reef area that was there but the water was too cloudy that day so were unable to see anything spectacular – which was fine – it was still a great place to get out of the boat and cool off. 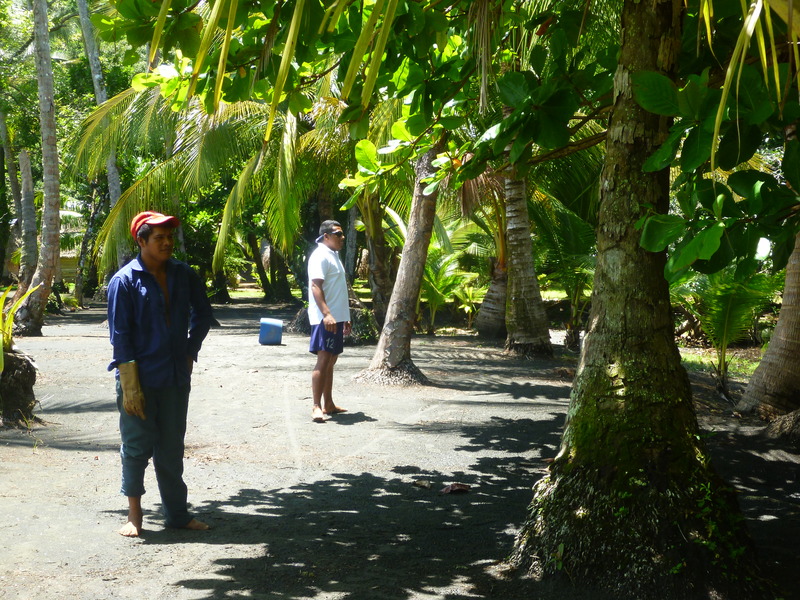 Upon returning to the boat, the captain and his mate had cut open some fresh coconut with their handy-dandy machete for us. Too bad there was no rum readily available :)! We then headed out to sea for our second stop. There was a real surprise waiting for us at this next island – crocodiles! Upon disembarking we were met by one of the native village people who, just over the berm at the end of the beach, low and behold, there was a small lake, for lack of a better description, full of crocodiles. The local villager had a pale full of crabs and proceeded to throw the crabs on the shoreline to entice the crocodiles to come out and eat – and come out they did! 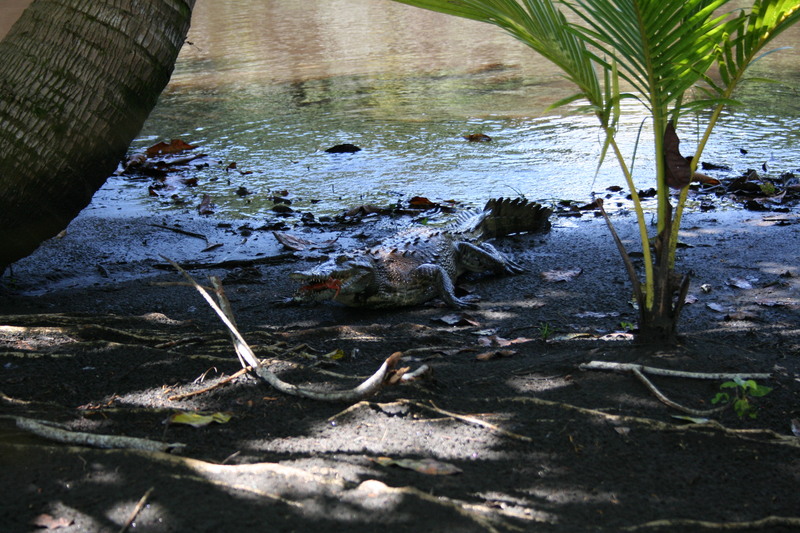 Who would have thought we would see crocodiles in the middle of an island in Panama! 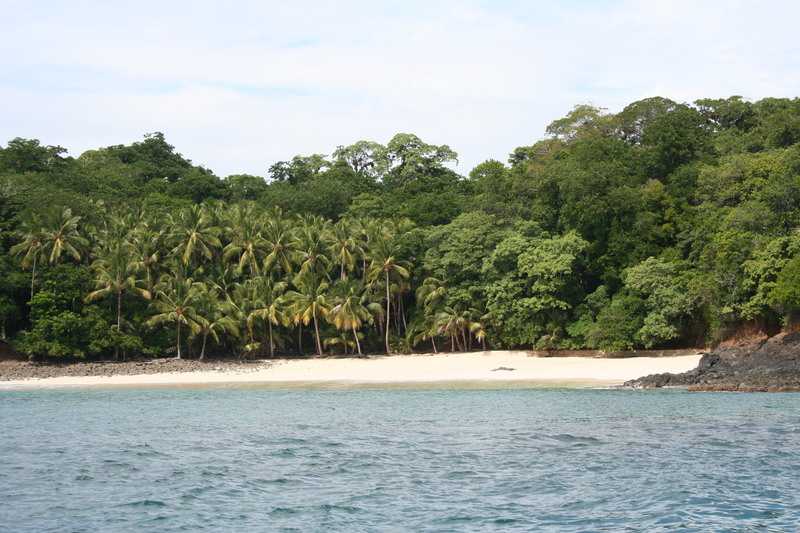 Our third and final stop was another beautiful island with yet again another beautiful white sand beach. We docked on one side of the island and as we explored the beach, we realized that the other side of the island was mere steps away with yet another beach. So many undiscovered little islands in Boca Chica – it was absolutely breath-taking! Our captain and our ride! One of our new friends enjoying lunch! Our captain and the local villager in blue! Our final stop before heading back to the resort. 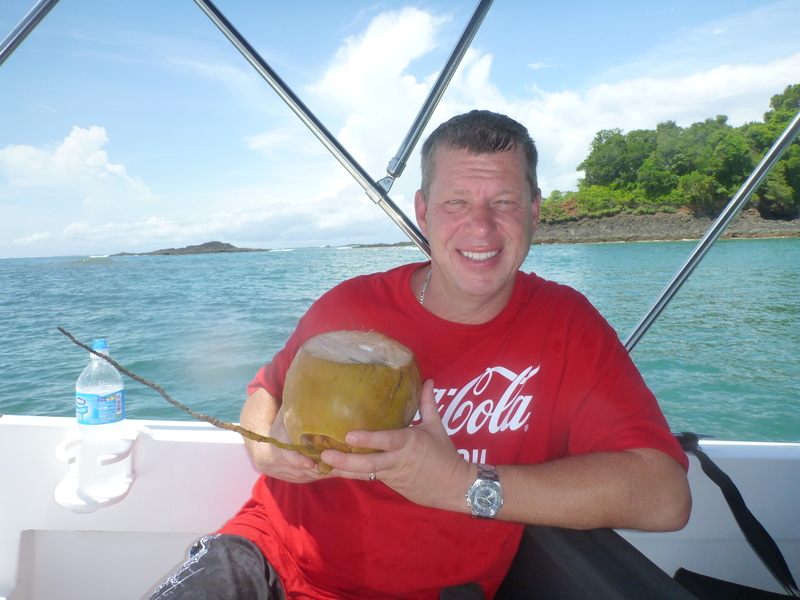 Now that we had our fun in the sun days, it was time to get back down to business and the real reason we came to Panama – to find a place to call home! 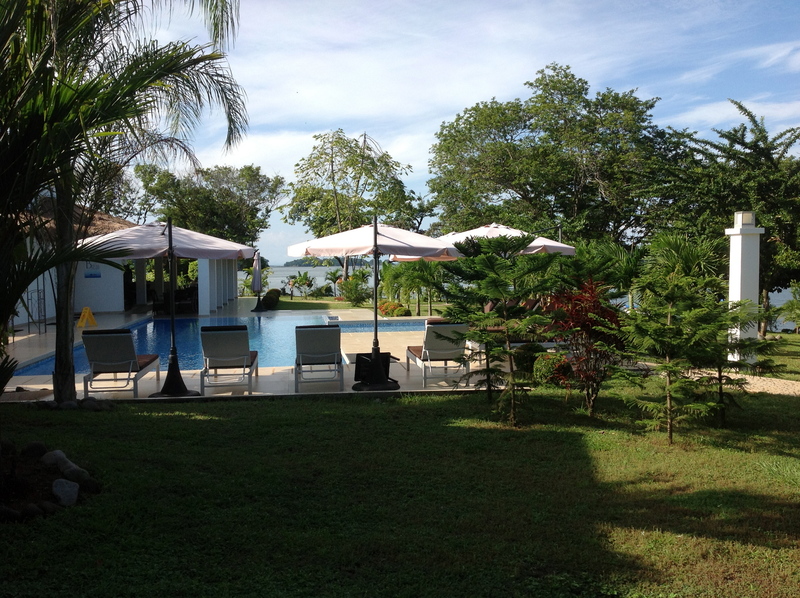 After we checked out of Bocas Del Mar, we met up with a realtor who lives in Las Lajas to see some properties in Boca Chica and the Las Lajas area. 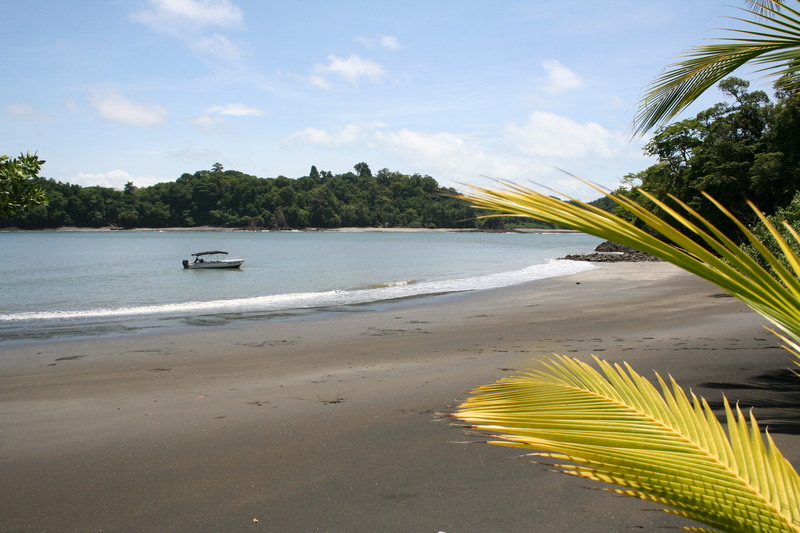 He showed us numerous lots for sale and beach houses in Las Lajas. First, let me tell you that Las Lajas wasn’t even on our radar when coming to Panama, but once we got a look at the 17 km of nothing but beach and almost no people, not to mention the drive to Las Lajas which is beautiful in itself, we immediately fell in love with the place and the area. 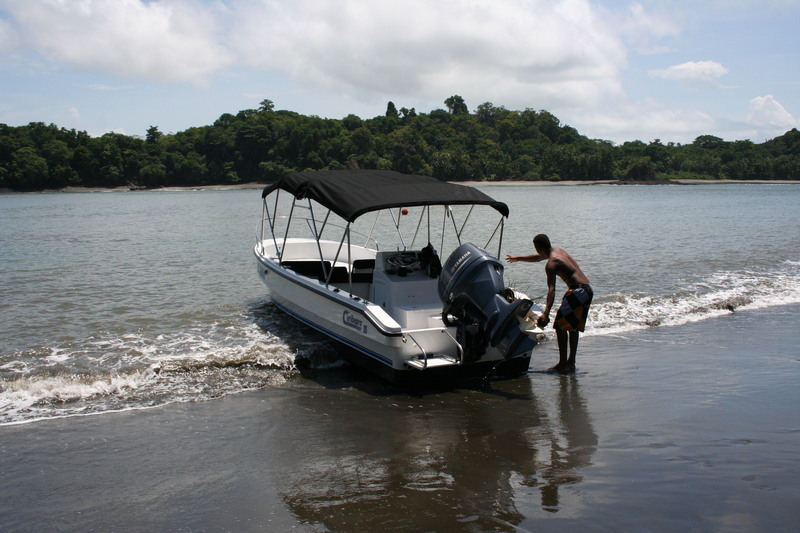 In addition, Las Lajas is a very safe beach which does not have rip tides (like Las Barqueta which we also checked out with our realtor, whom I will refer to as E), and there are no jellyfish or stingrays to worry about. I wasn’t sure what the big deal was with stingrays until E explained how they like to burrow in the sand when the tide comes in and when the tide goes out and you are walking along the beach you have to be careful not to step on them! Hmm – something I had never thought of before! 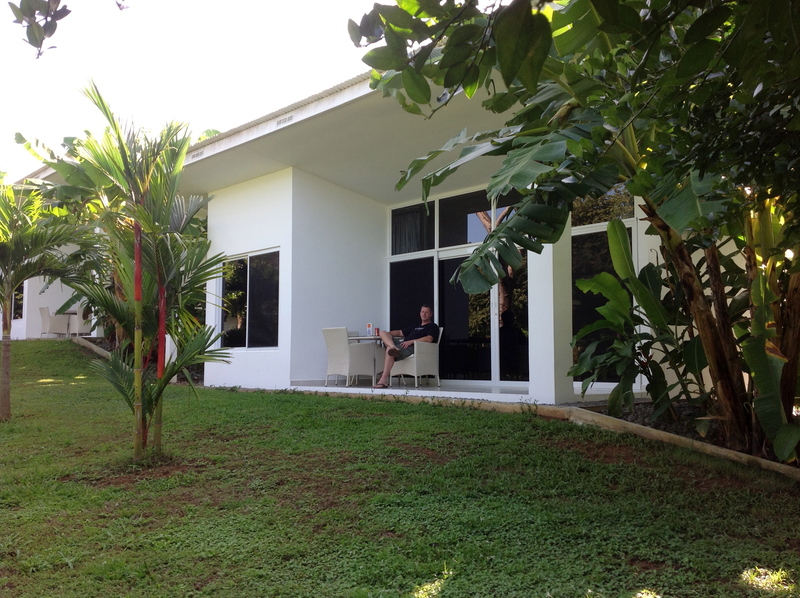 Now to tell you a little about E and his wife C. We hooked up with E via the real estate website – http://www.chiricquicoastal.com – and as it turns out – they are also from Canada and chose for their own personal reasons, to head for the tropics 5 years ago. They initially spent 3 years in Costa Rica, then moved to Panama. E and C went over and above what any realtor would do here in Canada. Not only did E spend hours with us, driving/showing us around the different areas in Las Lajas, but then he welcomed us into his home to meet his wife C and have a few beer along with a locally grown fruit/vegetable?? known as Pifa which grows in clusters in trees in Panama and look like mini coconuts. You boil them for 2 1/2 – 3 hours then peel them and snack on them with mayonnaise and salt. Another nice thing with E is that even after spending all day with him, we never ever felt any pressure from him to buy anything – he knew what our story was and that we still had other areas to check out and told us to take our time and to get a hold of him if we had any other questions, or anything that we wanted to take a look at again. What a nice way to end our day of house/property hunting! We did not come away with a property yet, but the Las Lajas area has moved into first place. Now it is time for D and I to head to David, where we are going to check out the hills of Boquete, Las Barqueta beach and the city of David in general to see what it has to offer. Adios …… until next time.